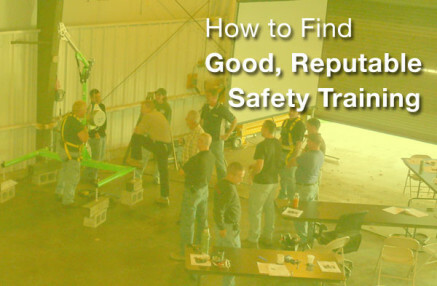 What are the Differences Between the OSHA 10 and 30 Hour Courses? When companies determine that their employees need some type of safety training, the knee-jerk reaction is most often, “Well, get them an OSHA 10 or 30.” They say “10 or 30” because they usually don’t know how much training their workers are required to have. The idea that a 10 or 30 hour training course from an OSHA authorized outreach instructor might not even cover the topics in which their employees are required to be trained doesn’t even cross their mind. It’s an OSHA safety course, so it must be exactly what they’re looking for. And, given a good, reputable instructor, the classes can be very good. Yet, just being a good course isn’t what it’s all about. An employer needs to ensure that the course gives its employees the necessary knowledge to work safely and helps the company be compliant with training requirements. It’s critical for employers to understand why they’re selecting a course and, if a 10 or 30 hour fulfills their needs, and what the difference is between the two classes. 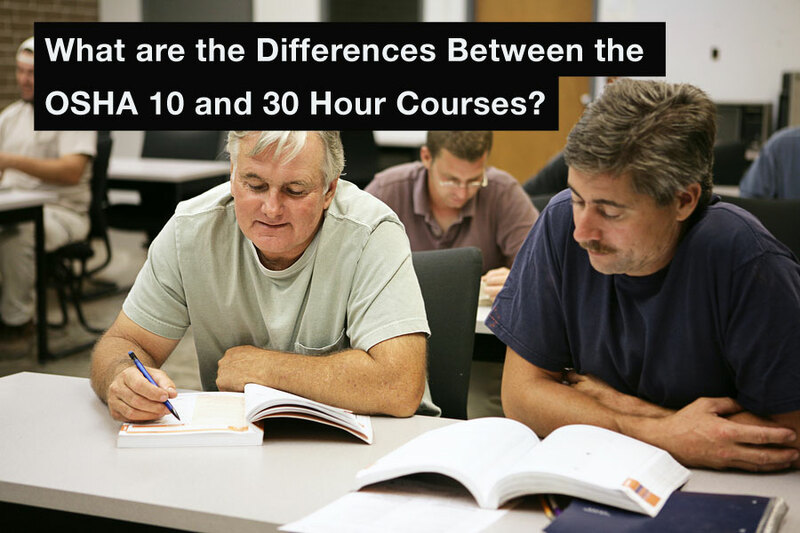 The difference is more than just saying there’s 20 more hours in a 30 hour course. Does three times as much time mean the instructor is going to spend three times as much time on the same topics or does it mean that the instructor will be able to fit in three times as many topics? In reality, it’s a little bit of both. Before we get to that, however, let’s start with the basics. The 30 hour training course is going to cost more. This cost will be both in what you’re paying the instructor or training facility and in lost production. An OSHA 10 hour class must be completed over a minimum of two days (OSHA maxes out instructors at 7.5 hours of instruction per day) and a 30 requires a minimum of 4 days, so naturally a 30 would cost more. However, these classes are an investment. Spending the time and money now pays you back exponentially when that severe injury or fatality doesn’t occur. A few thousand now could potentially save you millions. So, for the sake of this article, let’s assume that management really buys into getting the best training possible for its personnel to ensure their well-being, regardless of cost. As far as content goes, the increased amount of training time allows the instructor to both increase the length of time spent on individual subjects and increase the number of subjects discussed. Certain topics will always need to be covered for specific amounts of time while others are optional (this is why it is important to discuss with your trainer what content will be covered ahead of time – does an excavation company need to spend an hour or more on steel erection when confined space is being left out, for instance? Do line workers on a factory floor need extensive ladder safety training when ergonomics is not covered?). At the risk of oversimplifying it, a good way to look at it is that a 10 hour course is a beginner’s safety course that just about every worker should have. The 30 hour course, while a great course for everyone, is a more in-depth course that at least every supervisor or lead person should have. They are not completely different courses, since somebody who holds a 10-hour card can, in certain circumstances, receive an additional 20 hours of training to receive the 30-hour card. “Material Handling” switches from an elective topic to a mandatory topic. “Confined Space”, “Lockout/Tagout”, “Welding” and “Powered Industrial Trucks” get added into the mix as potential elective topics (whereas the 10 hour only gives the instructor the option of using “Hazardous Materials”, “Material Handling”, “Machine Guarding”, “Intro to Industrial Hygiene”, “Bloodborne Pathogens”, “Ergonomics”, “Safety and Health Programs”, and “Fall Protection” as electives). Both courses include additional time in which the instructor can choose to expand on any of these topics or discuss something else related to the industry. Perhaps the change most indicative of the 30 hour being more for supervisors is the addition of Managing Safety and Health as a two-hour requirement. This topic is not mentioned at all in a 10 hour. From a construction perspective, the structure works the same as General Industry, though the topics are different. For instance, the construction course includes mandatory time spent on the “Focus Four”: Fall Protection, Electrical Safety, Struck By, and Caught Between. Again, when comparing the 10 hour to the 30 hour, the time required for “Introduction to OSHA” remains the same in both while the “Focus Four” shifts from 4 hours of mandatory time to 6 hours of mandatory time. “Managing Safety and Health” is added in as a requirement. PPE and Health Hazards in Construction change from a half-hour each to two hours each while Stairways and Ladders shifts from an elective topic to a mandatory topic. A number of topics are also added to the elective list. Even within these parameters, the instructor has authority to customize your course. Not every elective topic will be covered and the additional “open” time could allow them to cover something that is very specific to what you do, but maybe not a big enough issue overall for OSHA to include it in its curriculum. This is one of the downfalls of an online training course; in most circumstances there will be no customization to the curriculum and your manufacturing employees will be working the same training modules as somebody else’s warehouse employees. A masonry contractor will take the same course as a bridge painter. The goal of training should never be just to get a card that says you were there . Education is imperative and will save lives. In order for your training to educate people, you need to do enough research to ensure that your employees are getting what they need. Nothing will cause a student to glaze over faster than a topic that doesn’t apply to them whatsoever. Get the right course and you will keep them awake, keep them interested, and keep them alive. 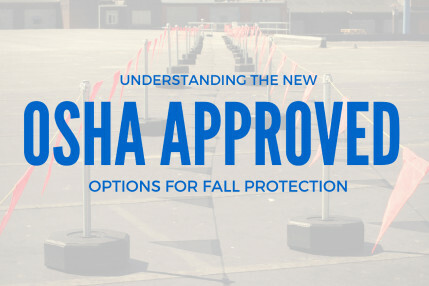 Late last year, OSHA published a long-awaited final rule on Walking and Working Surfaces. To those who are governed by the construction regulations, much of the new rule will be familiar, specifically the section on Personal Fall Arrest Systems (PFAS). However, here is a guide to what has changed. By now, you could probably wallpaper half your office with all the training postcards and fliers you receive in the mail. Your SPAM folder in your email is probably filled with them, too. How do you sort through all of this to find quality courses for your employees? 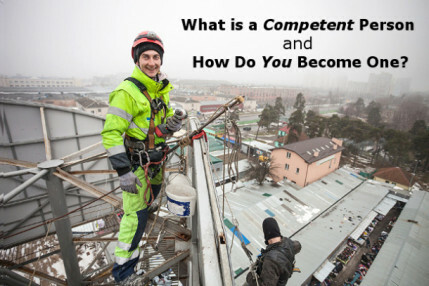 What is a Competent Person and How Do You Become One?